PCD tools are most frequently applied in the automobile industry – comprising both heavy and light motor vehicles. 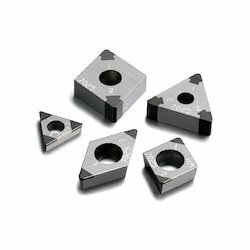 Some of the materials that have been cost effectively machined with PCD Tools include Hypo and hypereutectic aluminum alloys, copper, bronze, babbit and abrasive plastic composites. The most significant application of PCD cutting tools, in this new generation of aluminium engine manufacturing is to machine dissimilar materials such as aluminium engines with grey cast iron cylinder liners-either cast or pressed along with the aluminium –which have to be finish machined, along with the aluminium blocks. We also undertake re-lapping of used worn out poly crystalline Diamond (PCD), Poly Crystalline Cubic Boron Nitride (PCBN) Inserts. 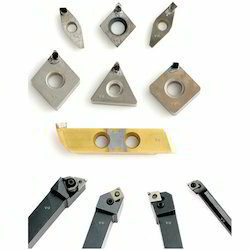 Tools are re-lapping and supplied to customers specification.